Audio from the open mic sessions held during the community event Queer History in the Making, where individuals and community groups were invited to talk and share about various rainbow activities. 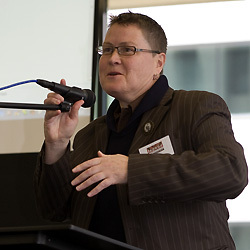 The event was organised by the Lesbian and Gay Archives of New Zealand and hosted at the National Library of New Zealand, Wellington on 12 September 2015. A special thank you to the Lesbian and Gay Archives of New Zealand for allowing us to record this event.